Dr. DD's Blog: Chanakyas Immolation : Did he commit suicide by burning himself? Chanakyas Immolation : Did he commit suicide by burning himself? 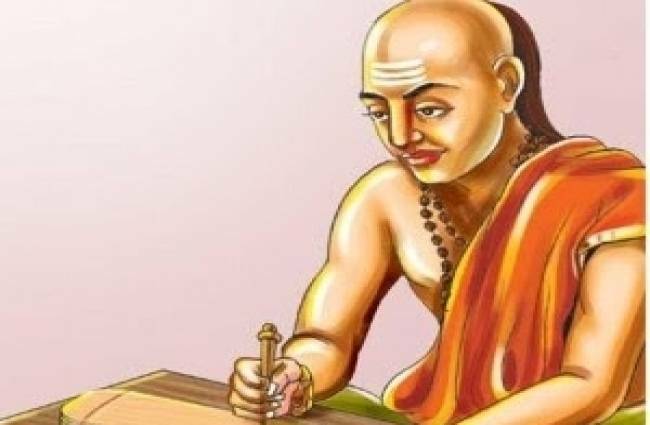 Chanakya lived in a tumultuous time and one cannot start to comprehend the stellar role he played in shaping the events of his time. His tomes “Arthashastra” and “Nitishastra” have lessons for us even after 2000 years and are very much relevant. Economics, Ethics, Politics, Governance, Administration and Philosophy. That is an impressive range of subjects to excel in. What makes, Chanakya stand out is his practical abilities to see farther than others, influence decisions and make things happen. His success can be gauged by the fact that he was the chief architect of the then greatest empire in India. He ensured that a relatively unknown Chandragupta got crowned at the tender age of 19 and founded the Mauryan Empire. What many people do not know is that with one of his decisions he ensured an heir for the Maurya Empire but bought death upon himself. That too in the most painful way!! Burning himself alive!! Legend has it that one of the most effective way of killing a king was to poison him. Chanakya the ever aware advisor of Chandragupta was himself using this tactic. To ensure that the king would not be affected by the poison, he wanted to build up his immunity. To do this Chanakya unknown to the king would mix a very small amount of poison in Chandragupta’s food. Once when Chandragupta’s wife, the queen was heavily pregnant, she by mistake tasted the food of Chandragupta. Heavily pregnant and in a delicate state, she collapsed and Chanakya was called in. Upon understanding the situation, there were two choices, to save the mother with the antidote but by the time it would act the unborn child would have been dead in the womb by poisoning. Second was to cut open the mothers belly and get the child out before the poison reaches the child. 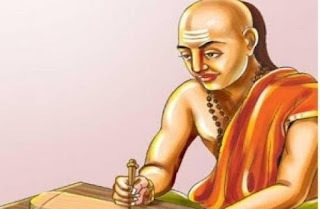 Chanakya dispassionate as ever gave prominence to continuity of lineage rather than mother’s life and the son Bindusara was taken from him mother’s womb in the nick of time. The poison and the cutting of her womb led to the queen’s death. Just a bit of the poison reached the boy and he was marked with a blue tinged dot or Bindu. This was the origin of the name King Bindusara, who succeeded Emperor Chandragupta. The story of his birth was kept secret from him. When in time Bindusara ascended the throne with Chanakya continuing to advise him but another advisor Subandhu wanted the full ear of the Emperor. He gave a perverted version of the story of the emperor’s birth and blamed Chanakya for the death of him mother. Bindusara sidelined Chanakya. The respect his father showed to Chankya was history. Subandhu and the council of ministers kept reminding Bindusara about Chanakya being the killer of his mother. Rather than face the ignominy of a diminished stature, the wrath of a King he had delivered in a kingdom he had created, he chose to end his life. He would immolate himself on a heap of dung cakes in his own chambers. Hearing this a loyal nurse gave the full picture to Bindusara who was racked with guilt and tried to stop Chanakya. But Chanakya had resolved to die. Bindusara in a fit of rage and revenge ordered the killing of Subandhu. In the end Chanakyas death was as spectacular as his life. He lit his own pyre and died as a roaring fireball. He chose to face his creator in death just as he had faced the world in his life, on his own terms and at a time of his choosing.